I don't own many DVDs, but I noticed that a disproportionate number of them nonetheless feature Harry Dean Stanton or M. Emmet Walsh in a supporting role. For example, the other day, I bought The Jerk and Fletch on DVD, and they BOTH feature M. Emmet Walsh. Check your collection and you'll likely discover the same thing. So why is this? As it turns out, we have been unconsciously following "The Stanton-Walsh Rule." 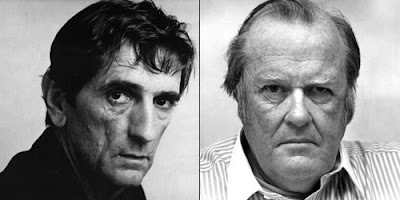 From Wikipedia: "According to Roger Ebert's 'Stanton-Walsh Rule' - 'no movie featuring either Harry Dean Stanton or M. Emmet Walsh in a supporting role can be altogether bad'. Ebert later conceded that this rule was broken by 1999's Wild Wild West."